All 50 states and 90 countries around the world mandate that children use specific, approved safety seats when traveling in a car. That's because researchers since the early 1980’s have shown that keeping kids in safety seats reduces childhood fatalities in accidents by about 50%. Car crashes remain the leading cause of death for children over age 3. Some of these children were completely unrestrained in their cars while others were improperly seated. Nearly all parents intend to keep their kids safe and comply with state laws on child safety seats, but relatively few actually do. Between 50% and 75% of child safety seats are incorrectly installed, for example. What are the rules for child safety seats in cars? Specific car seat safety laws vary by state. In New York, for example, children must ride in an appropriate car seat or booster seat until they reach their 8th birthday. Oregon, however, uses a matrix of age, height and weight to determine its official car seat guidelines. The American Academy of Pediatrics (AAP) maintains a list of car seat laws by state along with a list of best practices for child travel safety. How do I install a child safety seat? First, you want to make sure you've bought the right car seat for your child. To do that, you can use the AAP's guidelines or check out information from the National Highway Traffic Safety Administration. Because car seats can be pricey, some parents look for used alternatives at thrift stores, or they get one from a friend whose child has outgrown the seat. Usually, the second-hand approach is not a good idea because the seat is likely missing installation instructions and it could be missing important pieces of hardware. Furthermore, once plastic gets old, it becomes brittle and can easily break. If you do decide to purchase or borrow a used seat, make sure it's less than five years old, comes with instructions, and is not missing any parts. 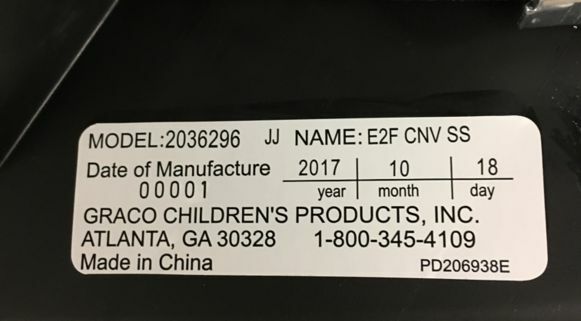 Most car seats have either the date of manufacture or the expiration date stamped right on it. Once you have the right seat, read and follow the manufacturer's installation instructions. (Yes, it comes down to that!) If you need help, plenty of folks are standing by. Check out this video from Howcast or this information from the DMV. Dads, you can even find out how to install a car seat the manly man's way with this helpful guide from The Art of Manliness. 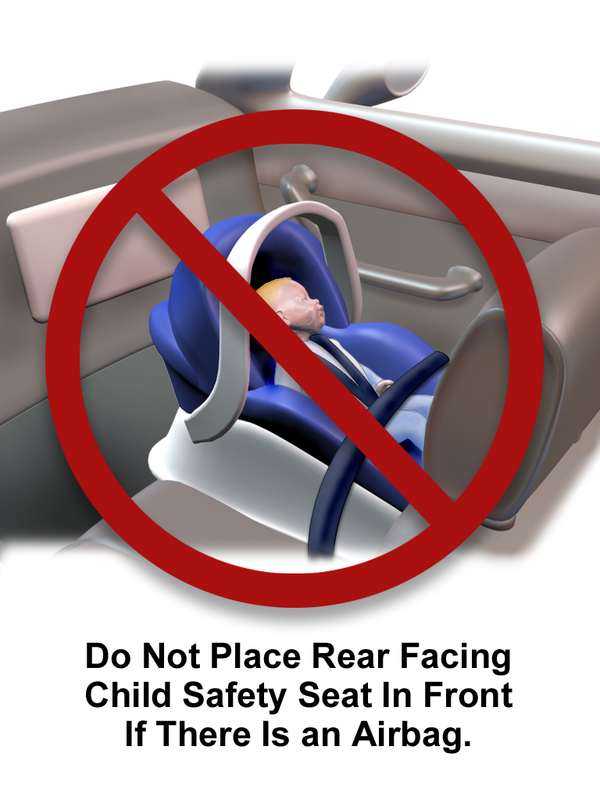 What are the consequences of installing a child safety seat incorrectly? States often say they impose fines on parents who do not follow state standards for restraining children in a vehicle. These fines can run around $200. In real life, of course, few traffic patrolmen actually stop and search a vehicle to see if a toddler is properly seated and buckled in. So the police power of the state does little to promote car seat compliance. Unfortunately, the cost of not installing a child safety seat properly can run much higher than a fine. Each year, 128,000 children get injured and about 725 children die in car accidents. According to the Center for Disease Control, "Booster seat use reduces the risk for serious injury by 45% for children aged 4–8 years when compared with seat belt use alone." Traditionally, parents could ask a police officer, firefighter or nurse to check their safety seat and make sure it was properly installed. Not everyone in these professions is certified in child travel safety, however. A better option is to use the saferide4kids.com site to find a Child Passenger Safety Technician near you. Buckling your child up properly is one of the easiest and most effective ways to protect your little one from injury or even death. Choosing the right seat, properly installing it, and getting a qualified second opinion on the job can make your home -- and your car -- a lot healthier and happier place for your family. Our top priority has always been to help you keep your family protected. We want you to know that we’re here for you with options that’ll help you keep them safe when they’re young and make sure their future is protected, too. Get in touch with us today. Bloomingdale, IL Bloomingdale is a village in DuPage County, Illinois, United States, approximately 25 miles west of Chicago. The population was 22,018 at the 2010 census.